We sell these cushions one at a time(ONLY TWO LEFT IN STOCK!). SIZE Approximately: 7" Thick, 25" Wide, and 29 1/2" Deep. You can turn the cushion either way. Some people will cut this cushion down with various knives, razor blades and other tools of destruction to fit their needs. PLEASE NO CUTS AND LAWSUITS! Have a good sofa but a bad sofa cushion? Did Uncle Pete (or Rover) spill beer or something worse on your cushion and you hate to throw a good sofa out? Here is what you need! 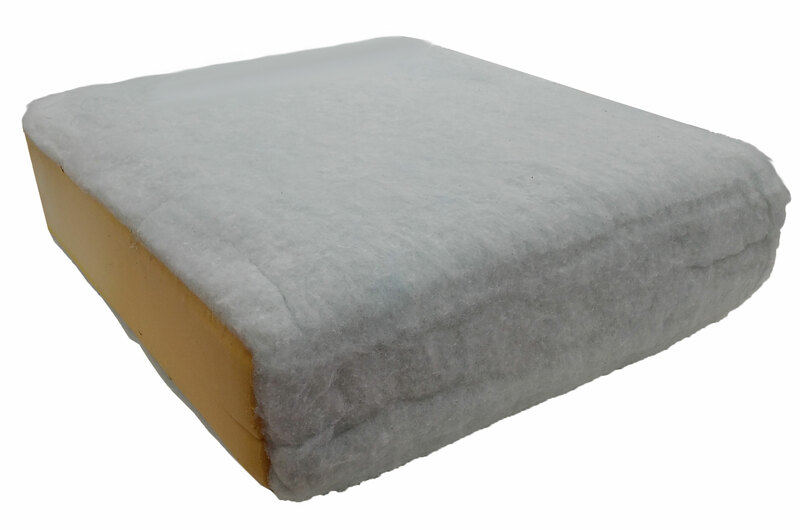 Our sofa replacement cushions are 7 inch thick medium density foam which includes about one inch of Dacron wrap on the top, bottom and front of the cushion. The dacron wrap is squashable so it will fit into as small as 6" thick sofa cushion covers. The cushion will have a medium firm feel. Dacron wrap is a deluxe cushion treatment as it adds to the cushion feel. It also gives a more rounded look to the edges of your cushion, and it fills in the fabric for a more aesthetic look. Dacron wrap also helps stop your cushion fabric from sliding away from the foam and bunching up. SHIPMENT This item is generally in stock and 95% of our orders ship out within 4 business days plus some transit time.